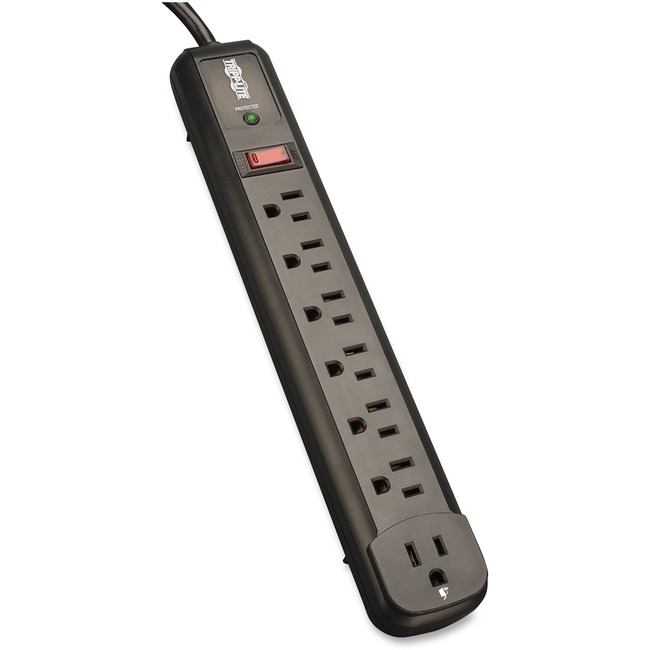 Seven-outlet surge suppressor offers economical AC surge suppression to safely protect workstations, desktop PCs, telecom systems and more. Built-in AC surge suppression shields your connected equipment from damage and performance problems caused by transient surges. Diagnostic LED provides a quick warning of suppressor damage. AC suppression is rated at 1080 joules to shield your equipment from surges and line noise.